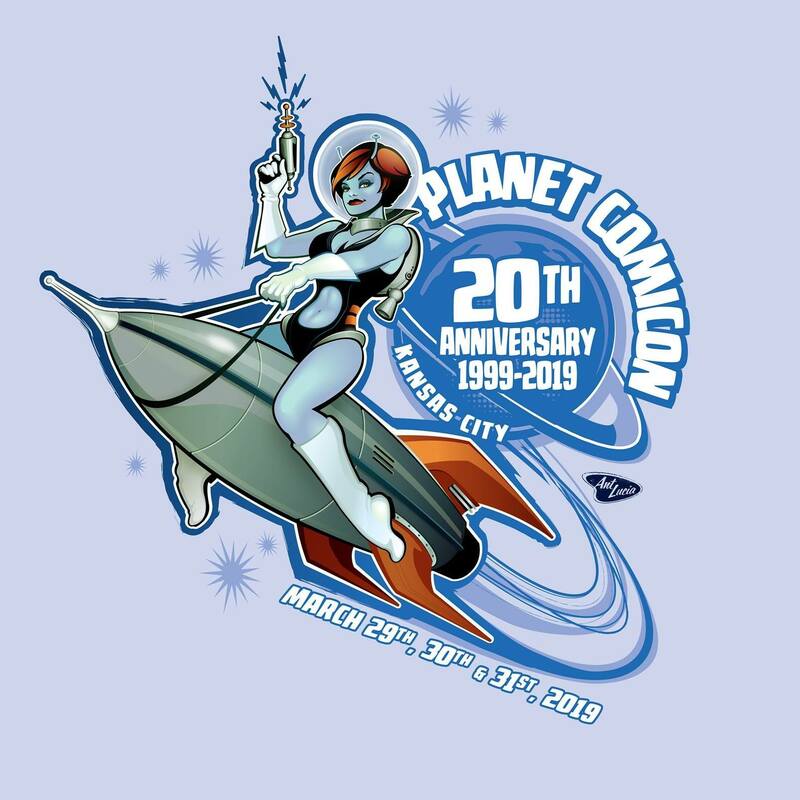 While plotting the 20th anniversary celebration, the organizers of Kansas City’s Planet Comicon tapped a rising star in comics for a memorable image that would be used on promotional material and memorabilia. 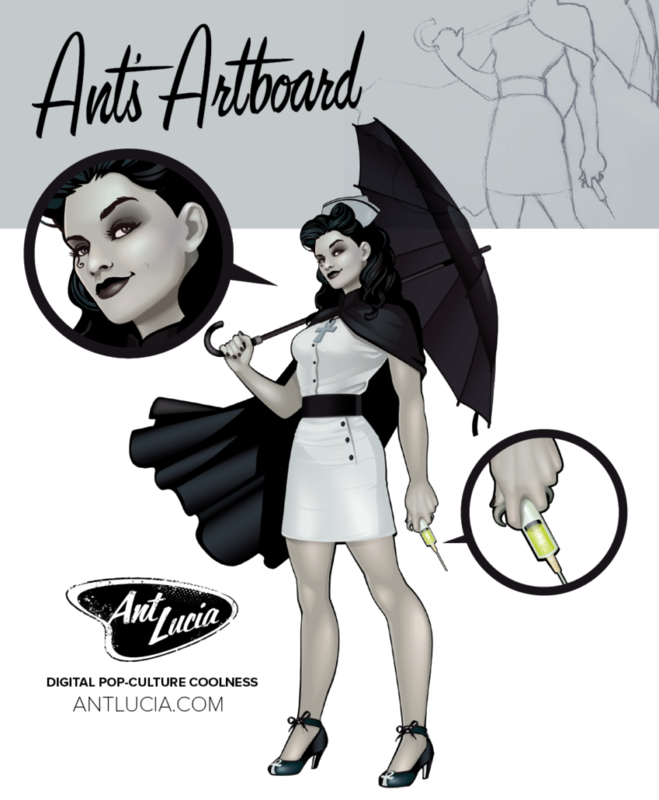 Ant Lucia, the creative mind behind DC Comics’ legendary Bombshells statues and subsequent comic series, created a pin-up style logo seen thousands of times around Bartle Hall last weekend. Lucia said it was his connection to PCC organizer Chris Jackson that led to him being picked as the artist behind the logo. Lucia explained he enjoys attending conventions like Planet Comicon because it connects him to fans – from dozens of Bombshells cosplayers who pick up on the minute details of the statues to people who visit year after year and pick up something new for their collections. “And I love seeing people I haven’t seen in a year, it’s like seeing old friends,” he said. Lucia’s workload continues with DC’s statues, having recently announced a Death Bombshell statue, Supergirl and Batgirl deluxe statue designed by artist Jack Mathews, and Big Barda. He teased there are more planned, but nothing he could talk about. He also teased about bringing his unique style of pin-ups to a new line of characters. For more, follow Ant Lucia on Facebook here.